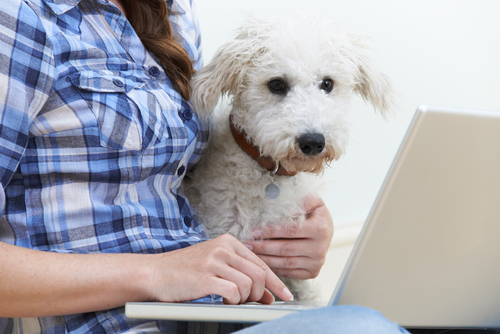 6 Ways to Market Your Pet Business For Maximum Exposure! There are many ways to market your pet business that can be effective and showcase your business or service. While we are all pressed for time and money, there are ways to gain maximum exposure without breaking the bank. With the pet industry exploding, it is especially important to figure out a way to differentiate your product or service from all the others. Publishing content that relates to your business that your customers or clients want to know about is one of the best ways to market your business. From pet-sitting to the best pet product available on the market, you need to write content that your target market will find interesting or informative. It helps your brand get recognized, gain credibility and of course, search engines find your site. If you aren’t a writer, there are many businesses that can help you create content using the proper keywords, phrases and searchable content. Remember to have an opinion, a perspective. Don’t be afraid to make your voice heard. 2. Sharing through the various social networks is instrumental! Once you have your content published, you need to get out there and be social! Share your content on Facebook, Twitter, Instagram, LinkedIn, Google Plus, Pinterest, and any other social platform that is relevant to your business. Facebook is still an extremely valuable asset to any pet business as the demographic is a little older and your perfect target market. Have a post that is gaining traction? You can spend $10 on Facebook to really push the content out there to a defined target market. Pictures and videos are also are super easy to find in the pet industry (there are millions of cute pet photos!) and a great way to capture your audience. Post some pictures and videos and look to the platform that gives you the best return. Facebook might work for one brand while Pinterest or even Snapchat might be ideal of another. Engagement is a two- way street. You can’t just follow and like. To make all your efforts productive, you need to participate in other pet businesses equally. Sharing really is caring! Retweet, comment, and discuss. Gaining a rapport with other industry leaders and people who successfully market their businesses means exposure for you. Look for the businesses that you respect and want to emulate. Comment, retweet, and share their blogs on social. Big or small, they will notice and usually feel indebted to return the favor. Email marketing is very much alive and effective if it is done right. The challenge is collecting email addresses. Plenty of people will sign up for marketing emails, if you make the content valuable for them. Offering information in exchange for peoples’ attention is a great way to market without spending money. Sure, we all get plenty of newsletters, but wouldn’t you still sign for a newsletter that is a brand or service that is interesting or informative? We all do! If someone has the opportunity to experience your product or service for free, chances are they will want to purchase more. Don’t be afraid to give someone a free trial or a sample. Most people are more comfortable purchasing something they have been able to experience first. If you don’t want to give it away for free, try a discounted rate or coupon. When you give something away, most people will feel an obligation to at least try it again. And this is another effective tactic to get a client or customer’s email address. The new buzz word that is popping up these days in all business circles is influencer marketing. But, what does that really mean? Influencer marketing is just a fancy term for having a respected brand or person in your field endorse your brand or business. It really is no different than a celebrity being paid a boat load of money just to wear a particular brand. Find an industry leader that you feel is effective and that can help get your business amazing exposure. Their influence will help your brand get the attention and exposure you want to your particular targeted market.